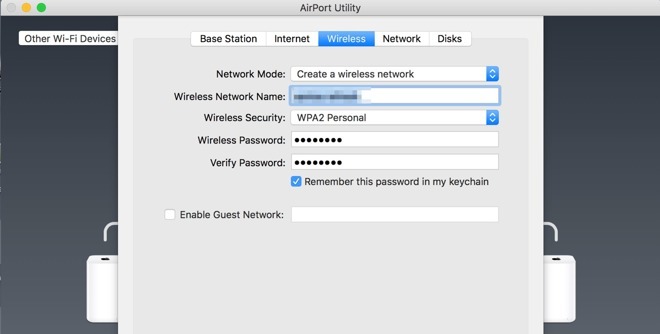 A set of six collegiate researchers are set to unveil details on a Key Reinstallation Attack (KRACK Attack) for WPA-2 Wi-Fi security, which if legitimate can allow attackers to undermine encryption on any wi-fi connection utilizing the security method —including Apple hardware connecting to Airport Extreme and Airport Express routers. AppleInsider explains what it is, and how to cut down on the potential for attack until patches are rolled out. The exploit, published on Monday, takes advantage of a four-way handshake between a router and a connecting device to establish the encryption key. Properly executed, the third step can be compromised, resulting in the re-use of an encryption key —or in some cases in Android and Linux, the establishment of a null key. US-CERT, the division of the Department of Homeland Security responsible for computer safety has become aware of "several key management vulnerabilities" used in the attack. The agency has declared that the vulnerability includes lack of proper encryption, content hijacking, HTTP injection, and other problems. In the advisory issued on Monday, US-CERT says that "most or all correct implementations" of WPA-2 are affected by the vulnerability —meaning every consumer device, and most enterprise access points. Most networks in single-family homes are probably safe. However, in apartment buildings and thickly-settled areas, there remains the potential of attack —if the exploit is as easy to implement as the researchers claim it is. When and if a patch becomes available for your computers, routers, or other Wi-Fi gear —implement it. If you're not on macOS Sierra, macOS High Sierra, or iOS 11, it might be time to get there. The researchers note that they cannot retrieve data downloaded from a "properly configured HTTPS site" —but a "significant fraction" aren't well set up. Avoid transmitting sensitive data to non-HTTPS sites.